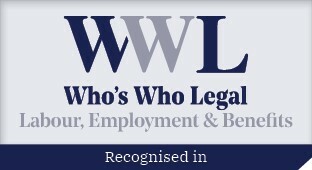 We keep you informed about our firm, our lawyers, our industry and other items of interest to human resources professionals. The Spring 2019 issue of OMHRA’s ECHO newsletter features two articles authored by Amanda Cohen and Jessica Toldo. Hicks Morley’s Thomas Agnew authored an article in Benefits Canada titled “A Summary of Ontario’s Changing Employment and Labour Legislation.” In this article, Thomas summarizes the key ways Bill 47 is changing the previous amendments under Bill 148. 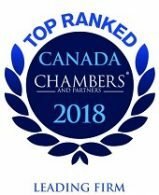 Hicks Morley’s David Alli was featured by the Canadian HR Reporter on February 4, 2019 in an interview where he addressed the main differences between workplace harassment and constructive criticism and how employers can mitigate these claims. Hicks Morley is pleased to announce that Cassandra da Costa has joined the firm as an associate in our London office. 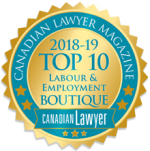 Cassandra provides advice to employers in both the private and public sectors on a wide range of labour and employment issues. Hicks Morley’s Will McLennan authored an article in Employment and Labour Law Reporter titled “”ESA-Only” Termination Clause Complied with ESA but Failed to Rebut Presumption of Common Law Notice.” The article argues how the Divisional Court recently upheld a decision of the Superior Court of Justice which held that a termination clause in an employment contract which complied with the Employment Standards Act, 2000 (ESA) failed to clearly rebut the presumption of entitlement to common law notice.